Bigger Is Better! 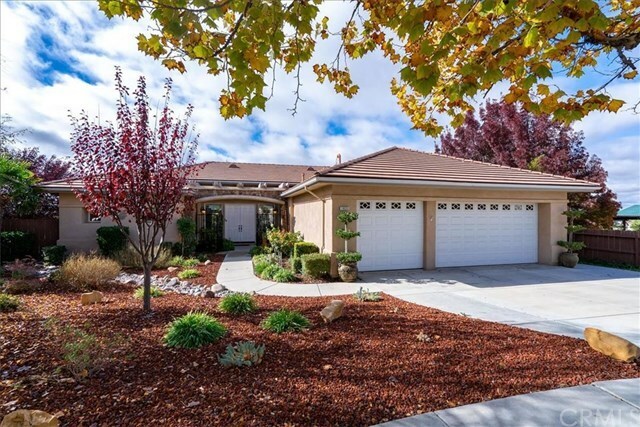 Be the envy of your family & friends with this spacious 3,300+ square foot home, situated on nearly a third of an acre at the end of a desirable Montebello Estates cul-de-sac! The double-door entry will draw you into the main floor of the home, where youâll fall in love with the open living room, relaxing fireplace and fantastic city VIEWS. A few steps away, there's a semi-formal dining room with custom coffered ceiling, large built-in bar, breakfast nook, guest bath, and a huge island kitchen with stainless appliances and ample counter space & cabinets. The master suite is also located on the main floor with patio access, walk-in closet, two vanities, garden tub & separate shower. You can entertain guests or just take in the beautiful sunsets from the multiple patios that provide the ultimate outdoor living area. If that's not enough, step down to the lower level where youâll find a family/game room, laundry room, 3 bedrooms, 2.5 bathrooms, and an 11'x14'6" bonus room that could easily be finished into a den/office/5th bedroom/workshop/media room, and additional patio access to the spa and back yard. Other amenities include gorgeous wood & tile flooring, granite counters, wood window shutters, automatic sun shades, courtyard with water fountain & custom wrought iron work, and a finished 3 car garage. All of this, surrounded by beautiful mature landscapingâ¦call today to make this magnificent house your new home! Directions: Take Union Rd off 13th St/Creston Rd., left on Skyview, right on Montebello Oaks, right on Christina Ct, property on right side at end of cul-de-sac.